Martina is a 73-year-old woman living in Hamilton, New Jersey. She is a retired fork-lift operator who is active and healthy. Although she is fortunate to be in good health for her age, she survives on a fixed social security income and a small pension. Martina had a partial denture that she was unable to wear due to a missing tooth that anchored the denture, and she also has a lower partial denture. 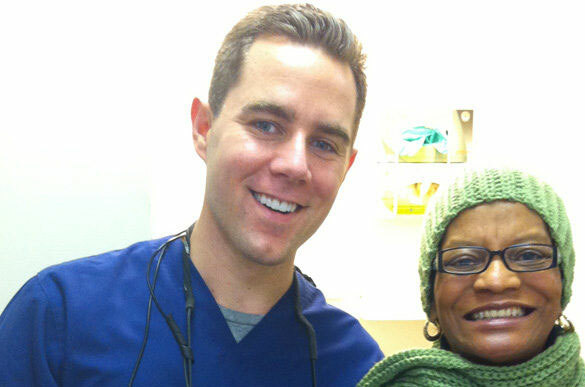 Martina could not afford the dental care she needed to fix her upper denture and refabricate a lower denture. With the help of Donated Dental Services (DDS) volunteer Dr. Jeffrey Goodman and Sunrise Dental Lab, she now has a beautiful smile and maintains regular cleanings with ongoing treatment from Dr. Goodman.